Somewhere between the 1970 Woodstock compilation and Bob Dylan’s Triplicate from earlier this year, the critics had to have realized the artists were no longer listening. To be sure, we’re not entirely clear they were ever all that engaged in the first place. But since that time, dozens of your favorite artists have released triple-albums despite being told they were absolutely a waste of time. In fact, according to our research – yes, we call browsing Wikipedia articles “research” – there’s been 178 triple-albums released in total, although we have since discovered several works apparently were not deemed worthy to make the cut. Mingus, anyone? Very few of these revivals, however, have been actual studio albums of new material. 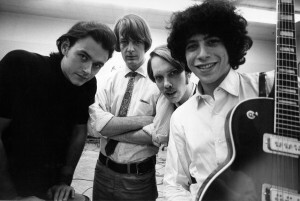 Most – like all of the triple-album kings, the Grateful Dead, for example – are compilations and anthologies of rarities, outtakes, live performances and previously unreleased tracks. Several others are full concert performances, and it’s from this last category that Tommy has culled his selection for this week’s Vinally Friday. So McCartney took 30 of his favorites – that’s 25 from his work with Wings and five from his Beatles days – and compiled them into what feels like one perfect show. 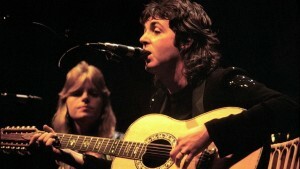 It was a risk, but it worked, and Wings Over America went on to sell over four million copies in the United States alone and cemented Mac and Crew as the first live act to put a triple-set atop the Billboard charts. • Craig will kick off the morning with a few spins of a “greatest hits” collection from a band that really didn’t have that many great hits, at least not commercially. That said, not all bands were designed to be commercial darlings, and there’s plenty to enjoy from this collection of the 1960s-era rock outfit’s best work. • Alanya will follow up by premiering Friday night’s performance by Ben Sollee and Kentucky Natives. The American cellist, singer/songwriter and composer – plus backing crew – will hit the Top Hat – again – and in addition to playing her favorites from his collection of covers – The Hollow Sessions – Alanya will also be giving away several pairs of tickets to the show. Released in 2013, The Hollow Sessions features Sollee playing (and singing) music from some of your favorite artists – Gillian Welch, Paul SImon, Tom Waits, Fiona Apple – from the acoustically enrapturing confines of an old wooden house in Prospect, Kentucky. • Finally, Robert will remind us where alternative music really started – and no, it wasn’t Nirvana, silly. Not even R.E.M. Instead, it was a a tight punk-influenced outfit from Minneapolis known as The Replacements. After years of success as a four-piece, the band pared down to three for its fifth studio release, Pleased to Meet Me. The album also marked a shift away from its punk leanings and into a sound that layered soul and jazz – including saxophone and horns – on top of its customary hard rock sound. Check out David Fricke’s original Rolling Stone review HERE and then tune in because it’s about damn time you make up your own mind. Finally, it’s Friday! It’s Vinally Friday – all day on the Trail 103.3.